As the year is nearing its end, I am already thinking about new challenges to set myself and I will keep on posting about them as that is a very good way to keep working on them during the entire year! This entry was posted in 2018 goals, Challenges, Lifestyle. During the last days of 2017 I wrote a post in which I revealed my goals for 2018. You can read that post here. After two months I wrote my first update and on this first day of May, it’s time for a second update! This entry was posted in 2018 goals, Challenges, Uncategorized. March 1st today… we’re two months into the new year, so time for a first update. How have I done so far?? Read on to find out! This entry was posted in 2018 goals, Challenges, Lifestyle, Personal, Uncategorized and tagged goals. 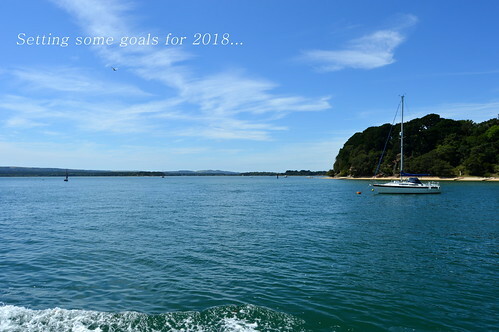 For this last Thursday of the year I want to make an exception… no traditional Thursday travelpost… oh no… today I want to share with you a more personal post… a post about the goals I have set myself for the coming year! Now these goals are nothing major… nothing new… nothing world-changing… just keeping myself alert and awake for when I wonder off during the year. Setting goals makes you stay focused on what you want to achieve in your life and by writing them down for all you lovely people out there, makes it even more real! This entry was posted in 2018 goals, Lifestyle, Personal and tagged goals.